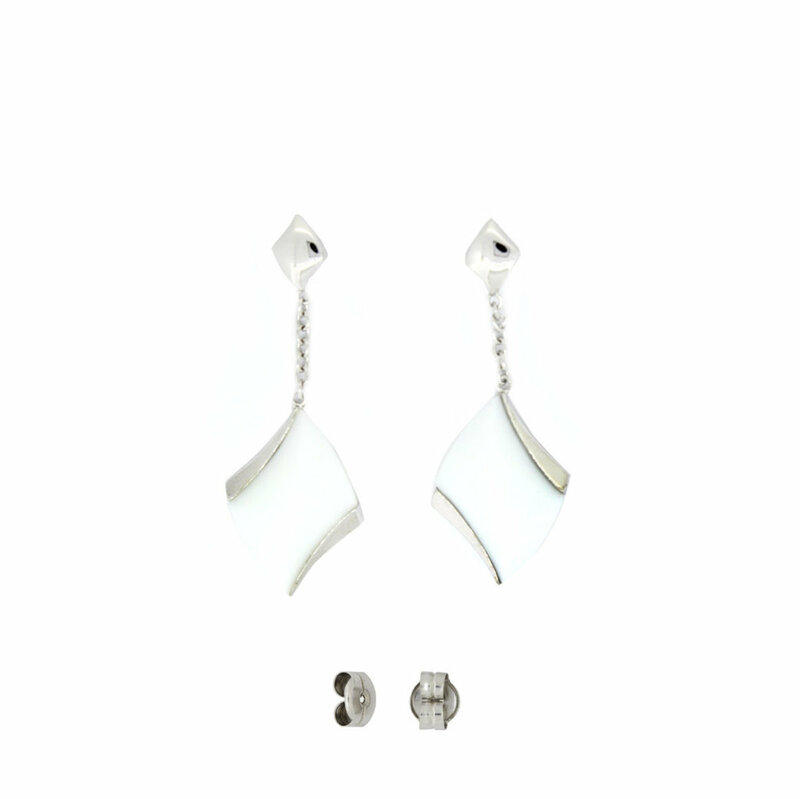 Earrings in rhodium-plated sterling silver 925 thousandths. Ornamentation in white ceramic. Closing pressure. Possibility of acquiring hanging game. We deliver in case of the firm Stradda.